It’s beginning to look a lot like Christmas! 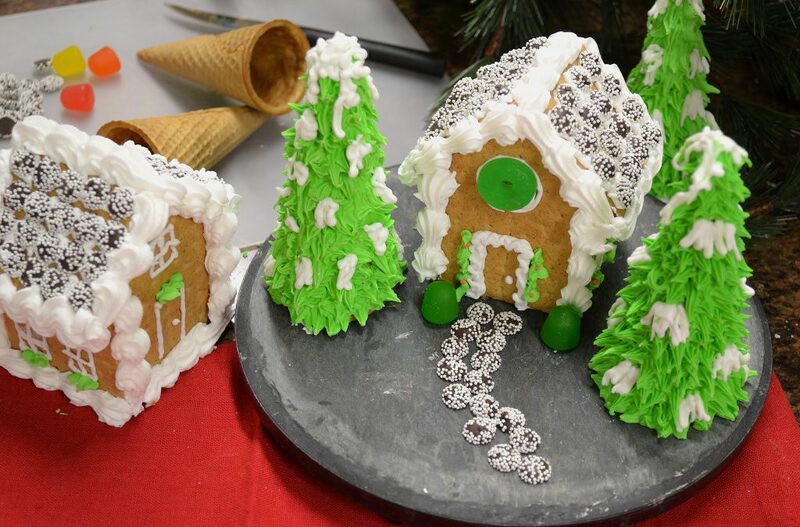 Trees are being bought and decorated, presents are being wrapped, homes are lit with the glow of lights, and families are making gingerbread houses. Rather than buying a kit from a store, have you thought of trying to make your own? Here’s how! We made ours out of graham crackers and ice cream cones. 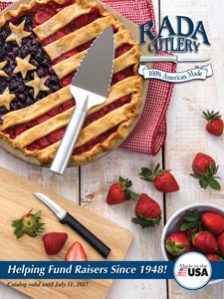 The cutlery used in this recipe includes the Heavy Duty Paring knife to cut our graham crackers, the Super Spreader to spread the frosting, and the Handi-Stir to stir the frosting. 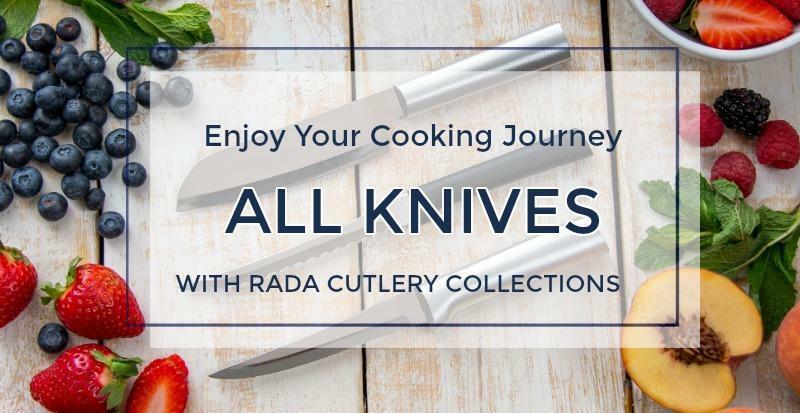 You can find all of these and more at Rada Cutlery or Rada Kitchen Store. First, decide on a design, buy the ingredients and gather the supplies that will be needed (icing bags, tips and a covered tray). You’ll also want some kind of a base to place your house on. 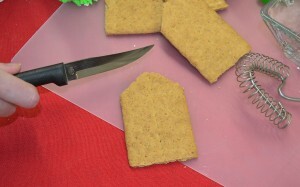 Also, as stated before, we used graham crackers to make our gingerbread houses. We cut them to fit together like a house using the Heavy Duty Paring Knife. To make the frosting cement mix together confectioners’ sugar and cream of tartar in a medium bowl. Add egg whites and vanilla. Beat on high speed until frosting holds its shape. If necessary, add more confectioners’ sugar to thicken the icing. Cover frosting with a damp cloth to prevent drying. *Be sure to measure flour carefully. Use a spoon to scoop it into the cup, then level off top. We dyed some of our frosting green to cover the ice cream cones so they looked like trees. The second step is to assemble. Carefully bind your graham cracker pieces together with the frosting. Some like to use a milk carton to make it sturdier. When you feel your house is ready, it’s time to decorate! We used chocolate candies to cover the roof after we spread frosting over the top. We also used gumdrops to decorate and decorated the ice cream cones to look like trees. This can seem challenging at first, but it works best to goop it on and form the shape of branches with a fork. Try it with our Granny Fork. 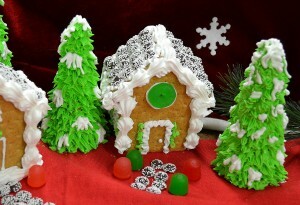 To give the appearance of snow, add a little white frosting, too! 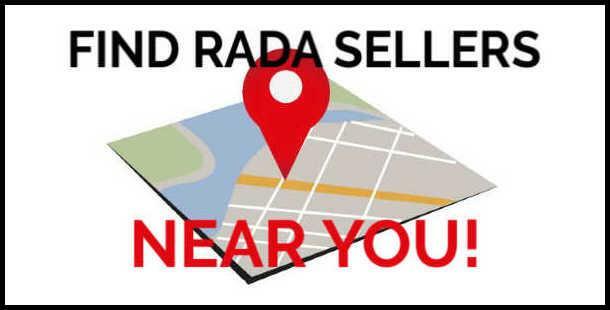 Give the Gift of Rada Gift Sets this Christmas! 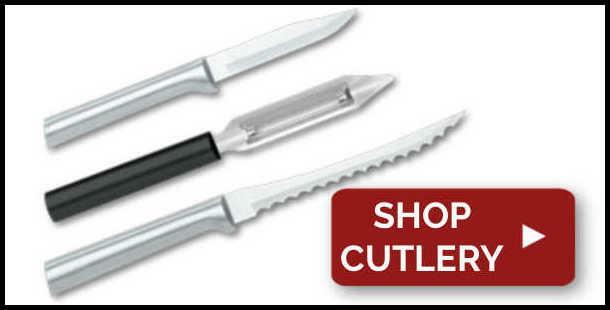 Start with one of our 25 Knife Gift Sets like the Starter Gift Set. Try taking them out of the box and arranging them throughout the basket! Then add in a few Rada Quick Mixes. Dips are great, because everyone loves them. 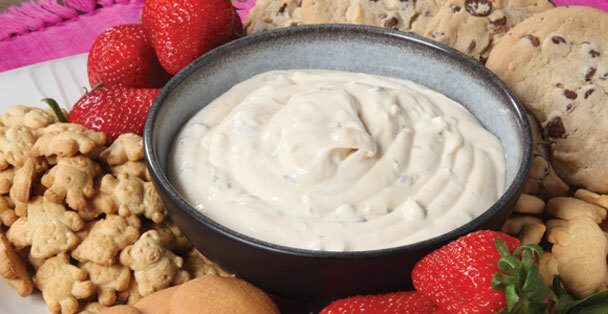 Try some sweet dips like the Cookie Dough Dip. 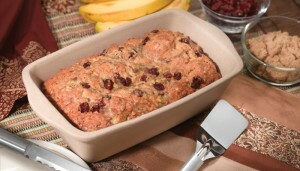 Place all of your items in some Rada Stoneware like the Loaf Pan. 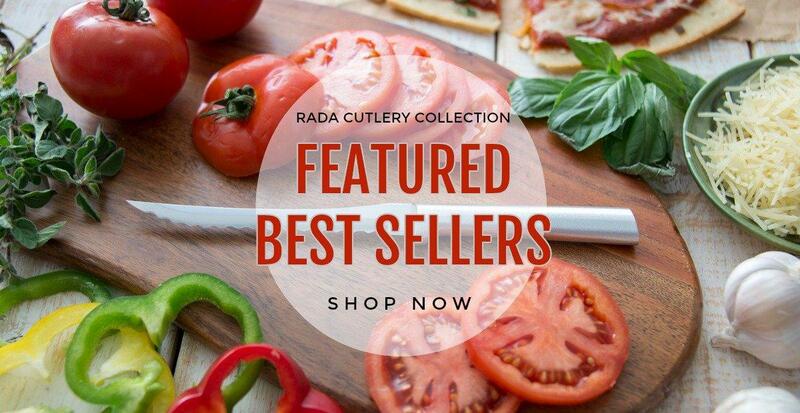 You can find all of these items and much, much more at the Rada Kitchen Store. 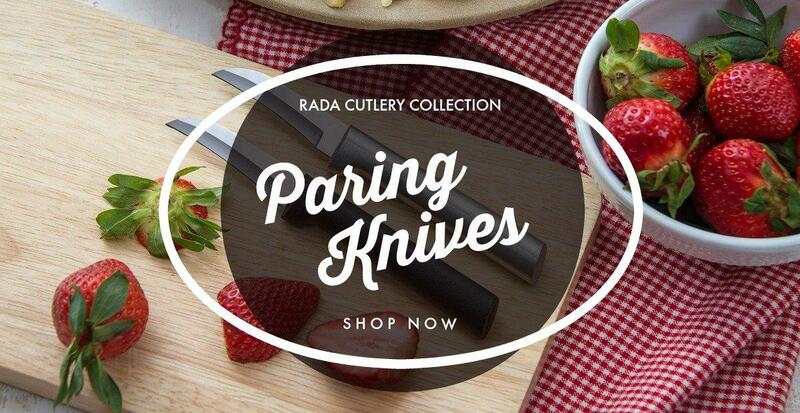 Rada Cutlery is made by Rada Manufacturing Co. in Waverly, Iowa. We take pride in the fact that our products are 100% Made in the USA. 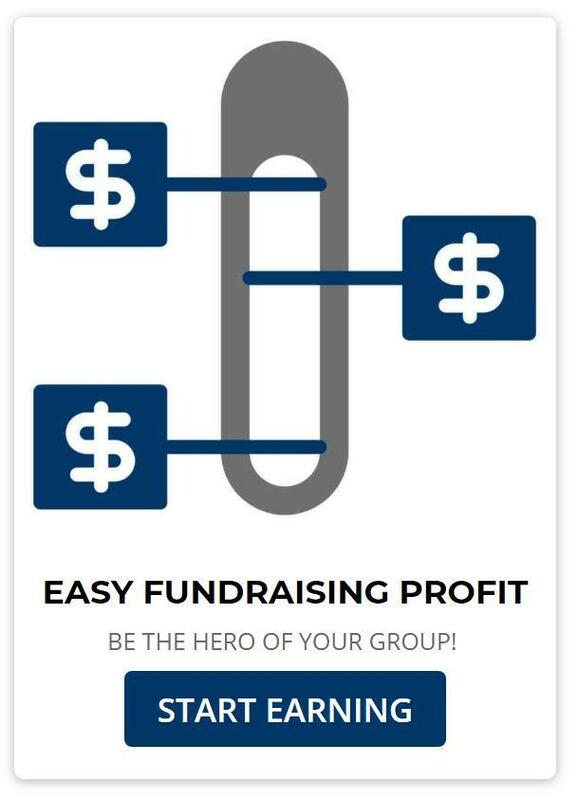 We are famous for helping fundraisers all across the country. Groups ranging from 4-H to Masonic lodges and animal shelters to schools benefit from the 40% profit that Rada Cutlery gives back to its customers. 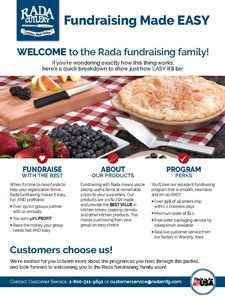 Find out more about Rada fundraising for your group. 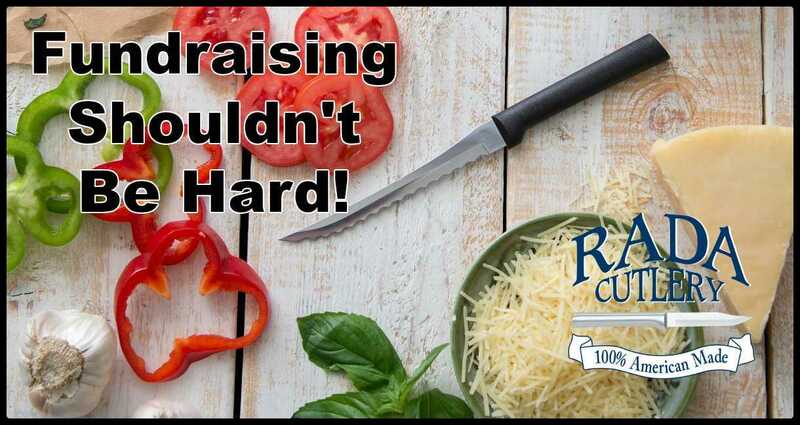 Rada Cutlery is your key to a successful fundraiser! Each year, tens of thousands of groups partner with Rada to raise money for noble causes. Churches, schools, clubs, sports teams, civic organizations, and more make the money they need with Rada. 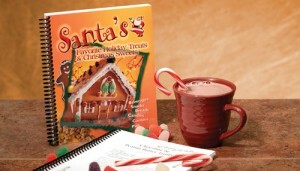 Check out our fundraising catalog to learn more!